This is just me thinking out loud here..... WestJet Rewards and Air France KLM Flying Blue finally announced reciprocal redemption from their respective reward programs today. 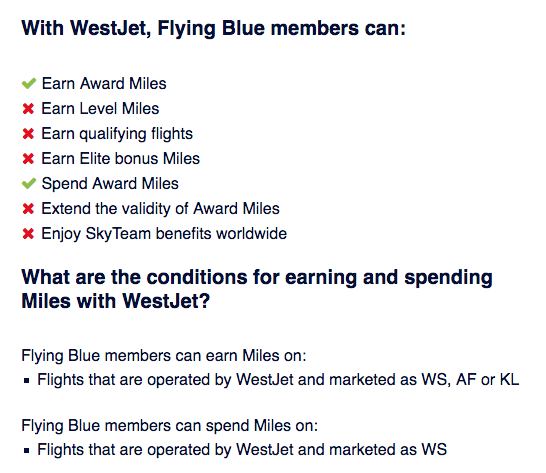 We covered using WestJet dollars on AF KLM earlier today and this is great news that I wanted to talk about more. The ever expanding capacity of WestJet Rewards is making the program that much stronger and a contender. It is one to watch out for and to consider joining. With redemption possibilities on WestJet, Delta, Air France, KLM and soon Qantas, there isn't much of the world left that you won't be able to get to. Yes it is only in economy class (for the time being ) but the reality is that is what most Canadians redeem for. Even Aeroplan let us know that redeeming for business class isn't a major award goal. When they raised the amount of miles required for business class flights to Europe and several other award categories a few years ago, they themselves stated that this affected only about 2% of their members. As someone living in Calgary it really has me starting to reconsider my strategies for some of my family's travel patterns. Yes we have the WestJet cards for the companion fares but now I need to crunch the numbers on regular spending as well for all these member exclusive fare options. I would love to hear what others are contemplating! 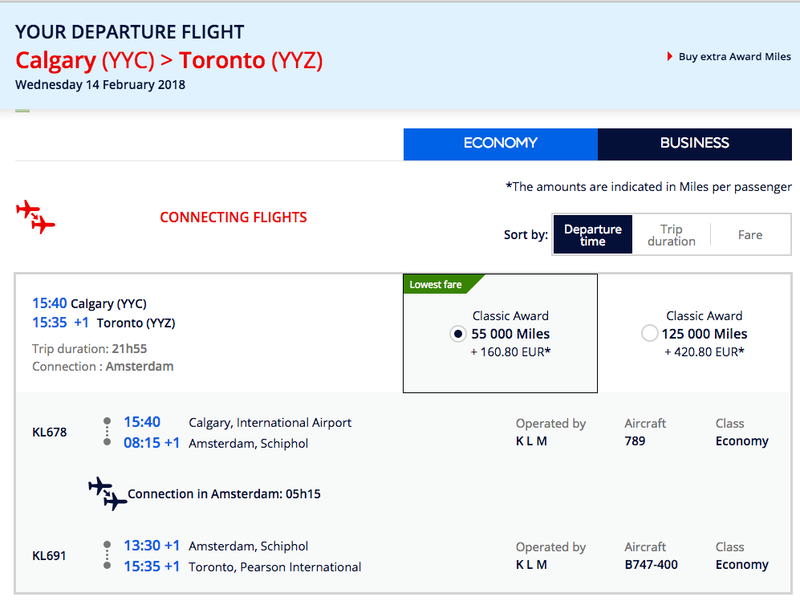 On the flip side, Air France KLM Flying Blue lists that you can spend miles on WestJet now however the flights don't show up online so chances are you will have to redeem via the phone if you wanted to redeem today! We tried a booking between Calgary and Toronto and this is what we got - not that we would mind going through Amsterdam on a 787 and 747 to get to Toronto but not really practical!